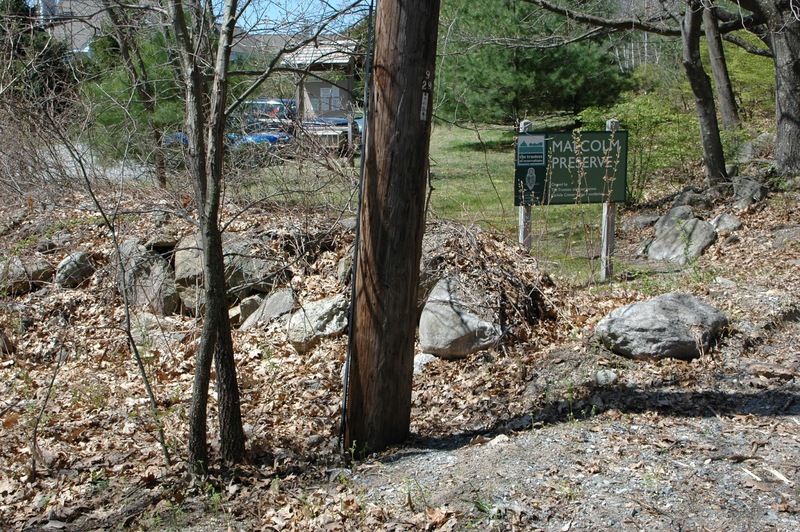 On the Land: CR Properties with public access - Estabrook Woods part 2 - trails in Carlisle, MA! 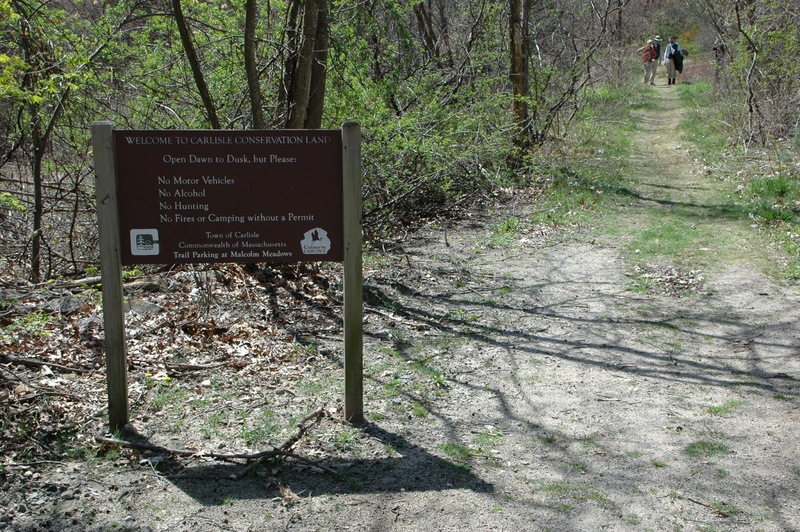 CR Properties with public access - Estabrook Woods part 2 - trails in Carlisle, MA! As promised, to follow up on our February 25 post on Punkatasset and Estabrook Woods, this post will link to trail maps of the Estabrook Woods on the Carlisle side of the town lines. 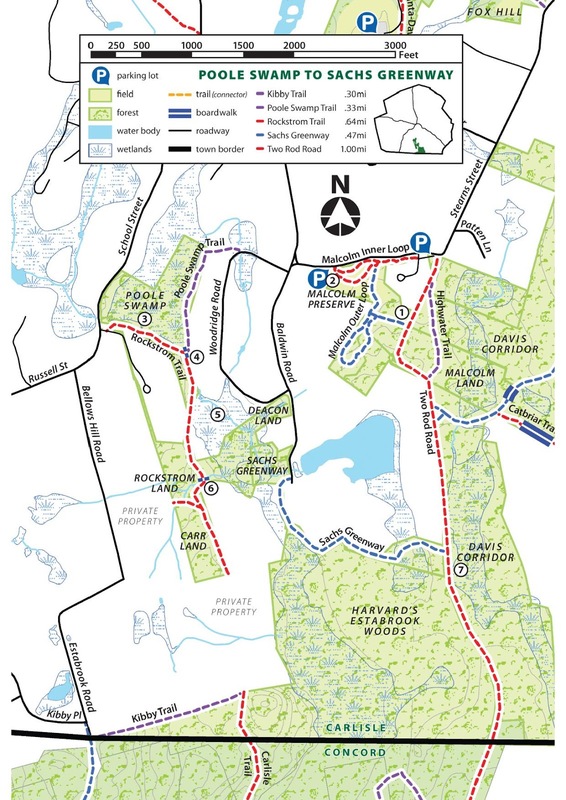 There are four main public access points to Estabrook in Carlisle, entering the Estabrook Woods by way of land protected under Trustees' conservation restrictions - over 600 acres of which buffer the Harvard-owned Estabrook Woods in Concord and Carlisle, as shown below. 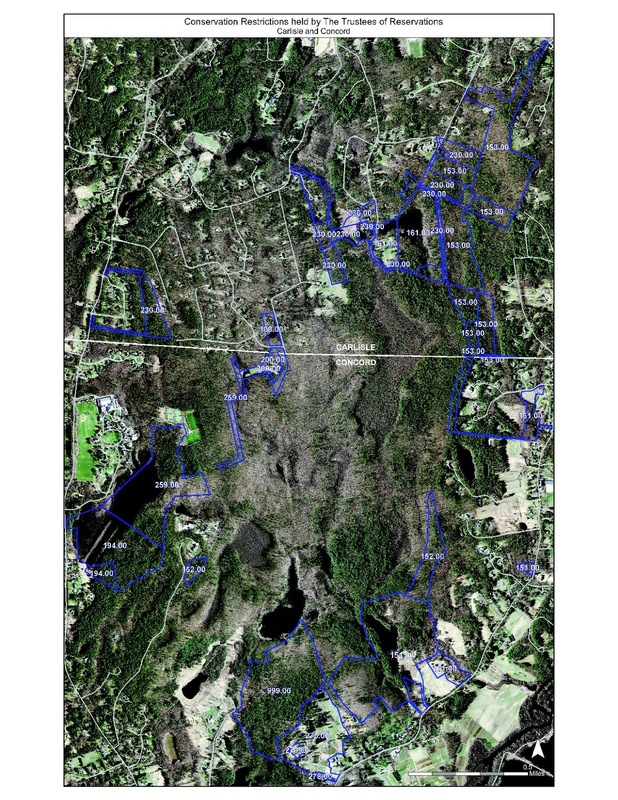 Together, these 1,200 acres of woodland make up the largest contiguous undeveloped forest tract in the metro Boston area! 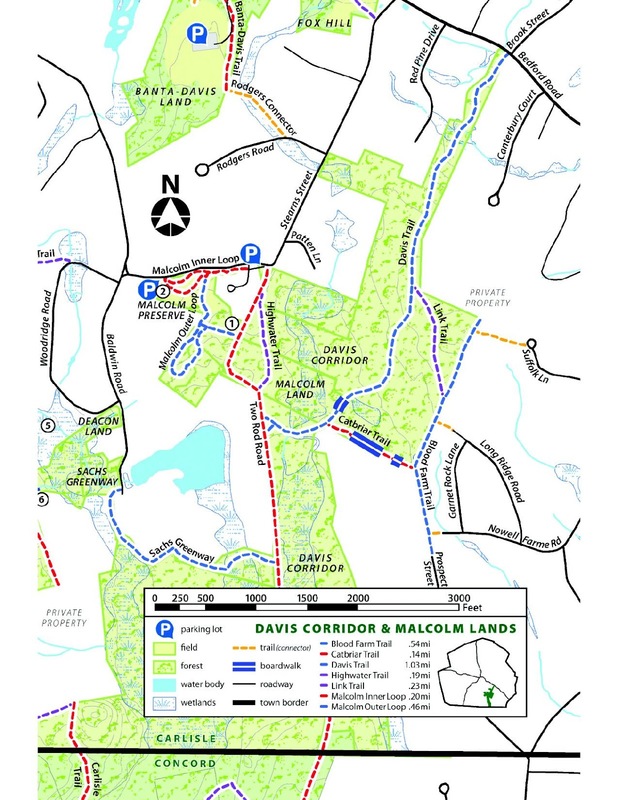 If you wish to fully "through-hike" the Estabrook Woods north to south, you will find the northernmost trailhead at the Davis Conservation Corridor, a Town of Carlisle property under Trustees CR, on Bedford Rd (Route 225) across from Brook Street. Parking is tight, but you can pull to the side of Brook St in order to fit a car. Second, and perhaps easiest, is to park at the Malcolm Preserve on Stearns Street (see map just above, picture below), and walk down Two Rod Road from there. The historic and narrow Two Rod Road corridor is protected by CR, and the history of its name explained in an earlier post! The Malcolm Preserve is co-owned and managed by The Trustees and the Carlisle Conservation Foundation. Looking down Two Rod Road from the Stearns Street entrance by the Malcolm Preserve. Third is at the Sachs Greenway trail, located at the end of Baldwin Road. Keep an eye out for turtles, wood frogs, and salamanders, as you pass by a vernal pool and an old stone slab crossing through lovely wetlands, before hooking up onto Two Rod Road. 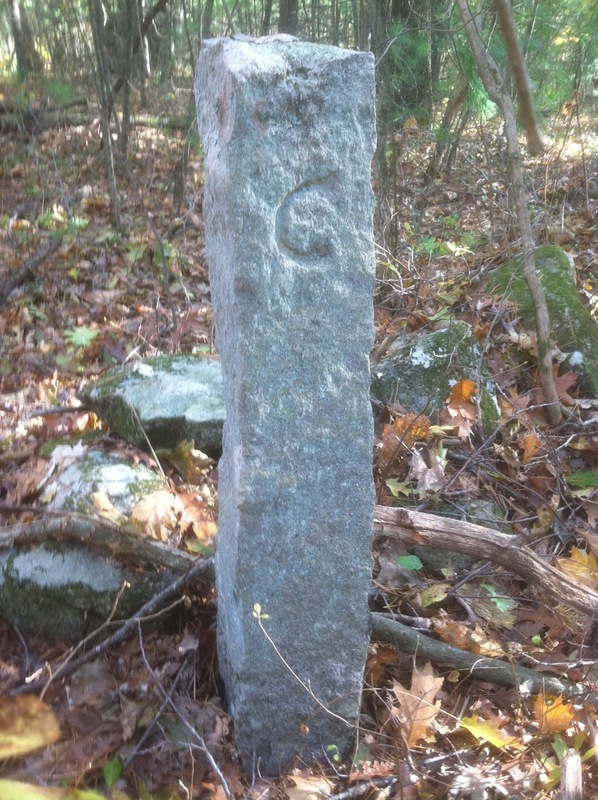 "C" for Concord and Carlisle both, trailside at the Estabrook Road town line! Fourth, and finally, you can find a trailhead at Estabrook Road, at its northern end where it emerges in Carlisle (or dead-ends, depending on your perspective!) next to Kibby Place, right by the Carlisle and Concord town line! Click here for the most detailed overall map of all the Carlisle trails protected by Trustees of Reservations' CRs!